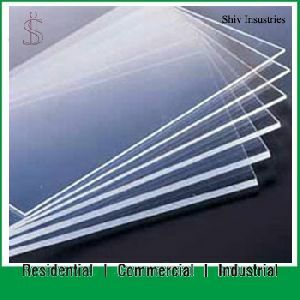 Solid Polycarbonate sheets are available in variety of profiles, surface textures and shades. They are a combination of unbelievable strength, excellent clarity and designing flexibility. This PC sheet is examined on several quality parameters and is generally demanded for cladding purposes in homes, offices and hotels. Provided PC sheet is manufactured by our domain-experts utilizing high grade material and progressive machinery. Polycarbonate Solid Sheet has the transparency, but the weight is less than half of the glass. And has the high impact strength. Polycarbonate solid sheet can be cold bend, processed and hot moulding. 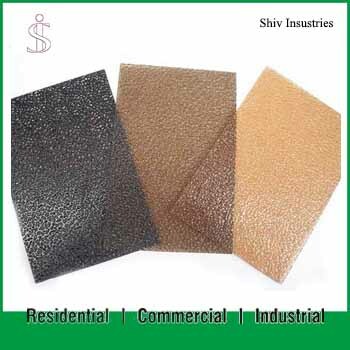 It is widely used in constructions and decorations.